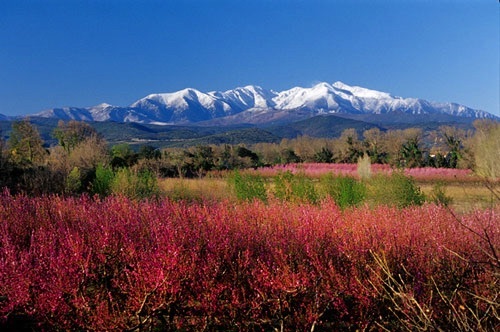 Rambling: from the tracks around Vivès with views to the sea, the walk to the Hermitage of St Ferréol, to the more adventurous routes around Mount Canigou. 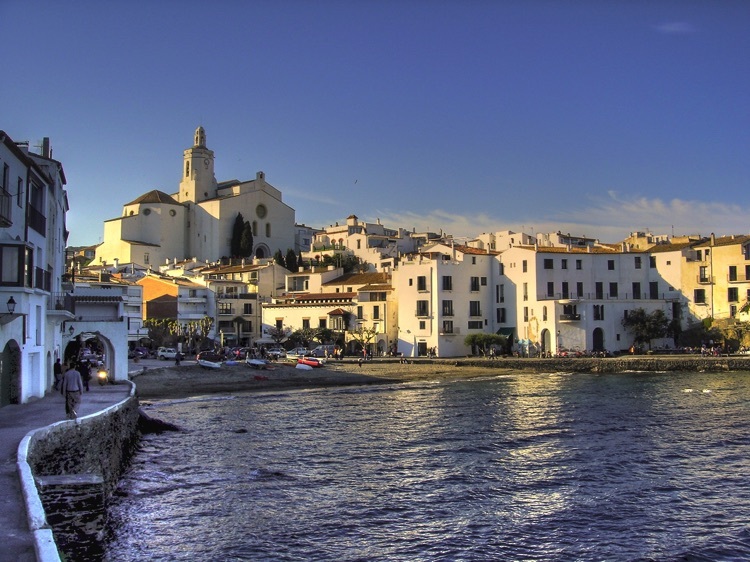 Nearby Céret, with its Musée d'Art Moderne, bustling Saturday market, charming atmosphere and its wealth of bars and restaurants. 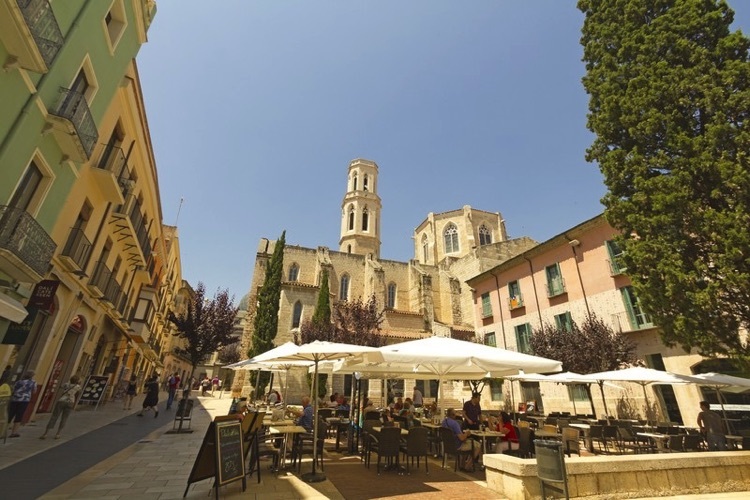 Here you can sit and have a drink where Picasso did. 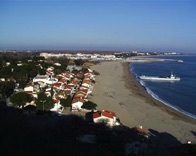 The hilltop village of Castelnou (one of the “Plus beaux villages de France”) with its castle and creative community, full of craft shops. Take a trip around the castle, which dominates the surrounding landscape. 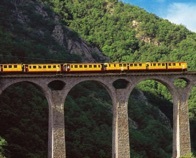 The Train Jaune, running from Villefranche de Conflent: a truly enchanting day up in the mountains. 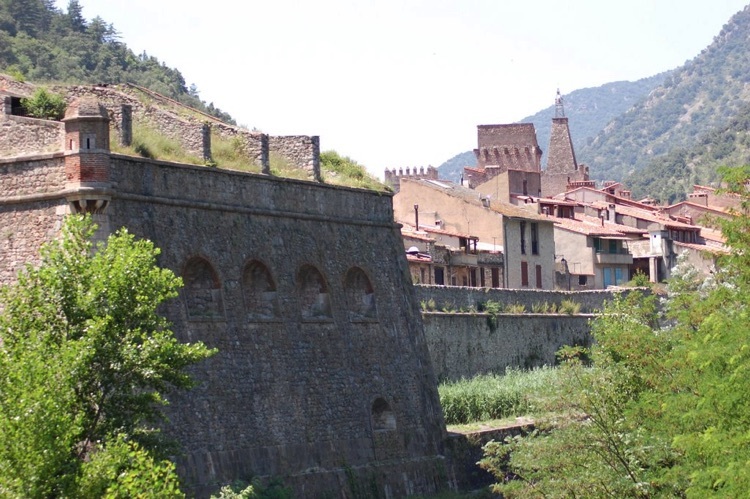 The beauty of the upper Vallespir: the stunning Gorges de la Fou, claiming to be the narrowest in the world, the fortified town of Prats de Mollo with its cafés and shops, the hanging valley above Arles sur Tech with lovely Montferrer and Corsavy. 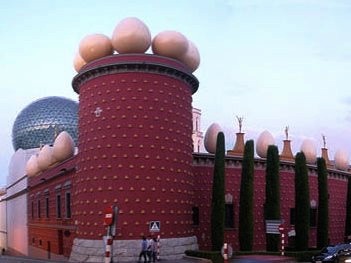 The Dali Trail: the outrageous Dali Museum in Figueras, the beautiful coastal town of Cadaques and Dali’s house at nearby Port Lligat and Cap de Creus. 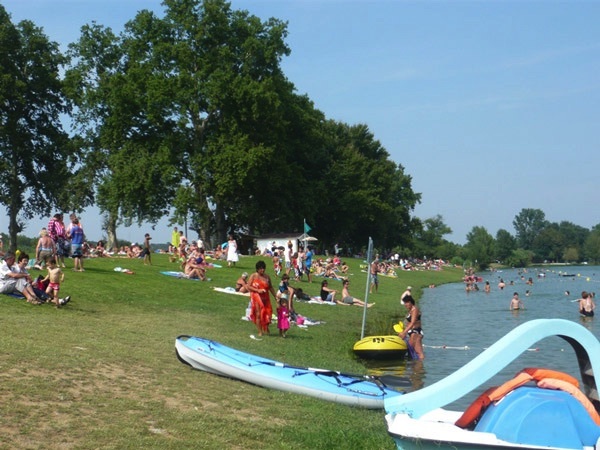 See the local vineyards and taste the wines: there are 3 Wine Trails locally. This plan shows them. 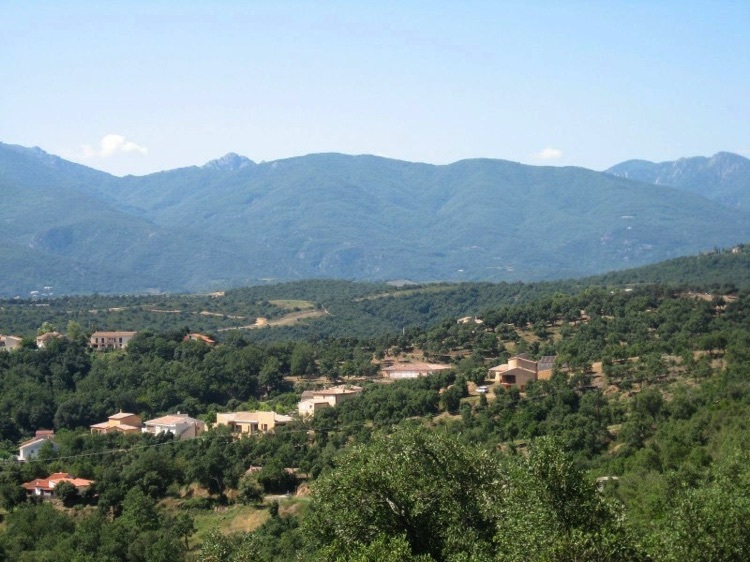 The nearest, the Aspres Trail, can be joined at Le Boulou, just 8 km away. 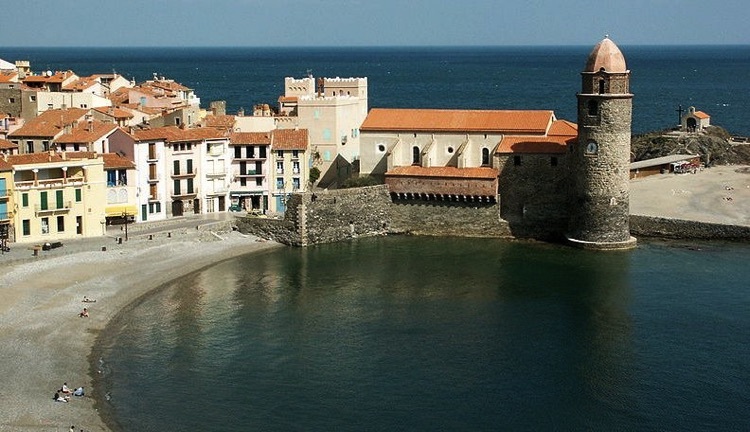 Visit Collioure, a fortified old town, art galleries and seaside resort with beach. Beware: this can get busy in high season. 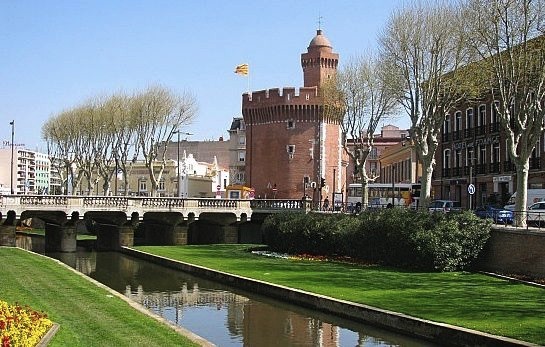 Perpignan City Centre: with its riverside boulevards and cafés, the Palais des Rois de Majorque, the museums and quirky shops of the old quarter. The Côte Rocheuse: originally only accessible by boat or train, now the picturesque winding coastal route takes you all the way into Spain, passing beautiful towns, little fishing villages and beaches along the way. 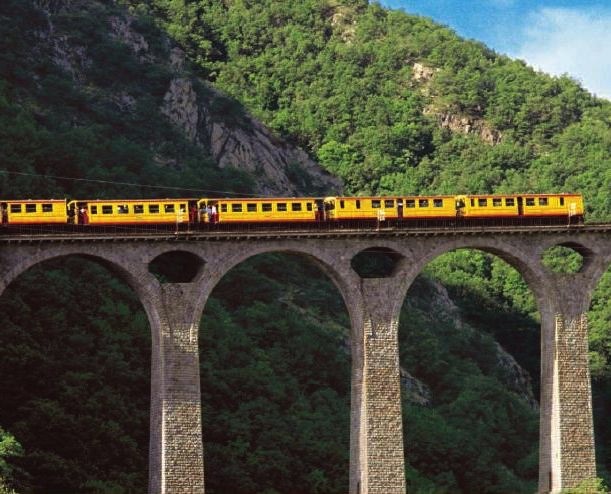 In Banyuls-sur-mer you can take the ‘Petit train de la côte vermeille’: get lost amongst the vineyards, chapels and coastal scenery.